It’s a simple idea. Just find a way for your family, your community, your company or your organization to come together to give something more. Then tell everyone you can about how you are giving. Join us and be a part of a global celebration of a new tradition of generosity. 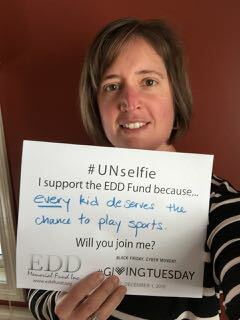 Use the hashtags #GivingTuesday and #eddfund. 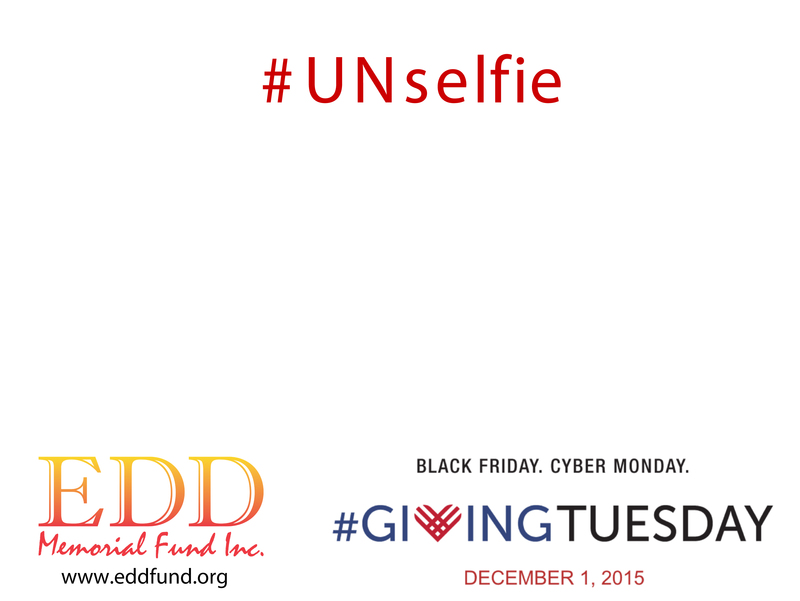 The #UNselfie, or selfless selfie, is a powerful way to show how you are giving and why giving is important to you. Take a selfie with a caption explaining how you are giving this year, and post it to Instagram, Facebook and/or Twitter with the hashtags #UNselfie and #GivingTuesday. Here is a printable #UNselfie template. Donate to support adaptive sports for young people with disabilities. Make a donation in honor of someone in your life who exemplifies the spirit of giving. Join the worldwide #GivingTuesday movement – visit www.givingtuesday.org and sign up today.